Sadly though, the debate goes on and some still do not want to even look at any form of evidence or material out there which might lead to the fact that vaccines are NOT safe to put into anybody’s body. Adults, childrens or animals. We’ve found some interesting video’s you might want to take some time to listen to and do your own research. Make up your own mind as to what you believe is the Healthier Option for you. All I will say is, please investigate the side effects of all ingredients in those vaccines and even medicines before you do anything further. DO NOT take for gospel what a doctor tells you – they’re never going to tell you they’re bad for you – they sign an oath – they will not go against that oath and the BIG pharmaceutical companies will always prosper. Always do lots of research. I personally have been following the teaching and educating myself from the likes of Tyler and Don Tolman. and there are plenty plenty more out there…..
(NaturalNews) These following doctors were not content with half-truths, propaganda, and lies. They did their own research. Dr. Banks earned her medical degree at Harvard Medical School. She also earned an MBA in finance from Pace university. She completed her internship and residency at Saint Luke’s Hospital and Mount Sinai Hospital and Medical Center. She is a board certified ObGyn. If you look at the ingredients of vaccines you’ll find that they have mercury, and they have aluminum and the vaccines are polluted with other kinds of viruses and the vaccines are grown, sometimes on human tissue. So these are vaccines that have elements that are neurotoxic and then of course they have other elements that can set up autoimmune reactions. So those are the kinds of things that we’re seeing in the children; we are seeing autoimmune reactions. Dr. Bark has earned a B.S. in psychology from the University of Illinois, and her M.D. from Rush Medical School. She completed her Pediatric Residency at the University of Illinois. After directing the Pediatric Emergency Room at Michael Reese Hospital, she began her study of homeopathic medicine. She has also earned a masters degree in healthcare emergency management from Boston University. In 2012 she became Vice President of the American Institute of Homeopathy. A highly educated physician, she has done the research. …The kids that come to me from other practices and are fully vaccinated often are the kids, well they are the kids in my practice with asthma, panic disorders, OCD, PANDAS [pediatric autoimmune neuropsychiatric disorders associated with streptococcal infections], autism, Asperger’s. My kids who never have been vaccinated in my practice, I don’t see those issues. I don’t have one child who was not vaccinated who also has asthma or food allergies or Asperger’s or autism or Crohn’s or ulcerative colitis. Meryl Nass is no stranger to research. She earned a B.S. in biology from MIT. She worked as a lab technician for two years in the Immunology Department at John Curtin School of Medical Research. She earned her medical degree from the New Jersey Medical School and the University of Mississippi Medical School. She completed her internal medicine residency at the University of Mississippi Medical Center. Afterwards, she worked as an emergency room physician for 14 years. She also taught internal medicine at the University of Massachusetts Medical School. She currently works as an internist and hospitalist at Mount Desert Island Hospital in Bar Harbor Maine. 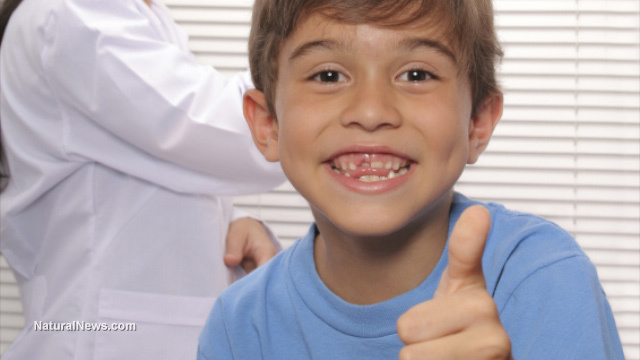 Prevnar was licensed with a big clinical trial conducted at Kaiser in Northern California with 38,000 children. Half received the Prevnar 7 vaccine, and half received an experimental vaccine for Neisseria meningitidis type C – type C meningococcal vaccine. Now, that seemed a little odd to me. I mean…the control was another vaccine. That’s a problem. But that’s pretty common, because you don’t really know what the side effect profile is if you compare one vaccine to another, because each causes side effects. You don’t have an inert placebo for comparison. …Children don’t usually die suddenly when they’re healthy; and you have to find a reason for that. There are certainly lots of teenage girls who have died relatively suddenly after Gardasil or developed severe neurological reactions. Dr. Wolfson earned his undergraduate degree from the University of Illinois. Afterwards he earned D.O. at the Chicago College of Osteopathic Medicine. He is board certified in cardiology. Before meeting his future wife, Heather, he began to realize that conventional medicine was not preventing disease or curing disease, but merely treating the symptoms. Heather, a chiropractor, brought him into the world of holistic healing. He and Heather are now married with two kids, and neither of them are unvaccinated..
A prestigious journal reported that men who had measles and mumps as children suffered 29% less heart attacks and 17% less strokes! Women with a history of both infections had a 17% lower risk of cardiovascular disease and 21% lower risk of stroke. The journal Atherosclerosis recently published these shocking findings in the June 2015 issue (1). By my calculations, natural infection with the measles and mumps will prevent millions of heart attacks and strokes. Why is this information not all over the TV and Internet? I will tell you why. Because mainstream media is in bed with Big Pharma who pay their bills. The politicians are slaves to their corporate masters. Our children should be exposed to every virus and bacteria for which a vaccine exists. Dr. Hieb received her undergraduate from Grinell College and the University of Iowa. She earned her M.D. from the University of Rochester School of Medicine and Dentistry. She did her orthopedic surgical residency with the U.S. Navy. She is a former president of the Association of American Physicians and Surgeons, and she frequently speaks out against the perils of government-run health care. She ran for Governor in 2014 as a libertarian. Unfortunately, she lost the election. In countries which use BCG vaccinations against tuberculosis, the incidence of Type I diabetes in children under 14 is nearly double. …In 1982 William Torch, a prolific researcher and publisher on Neurologic topics, presented a paper (later published) at the American Academy of Neurology reviewing SIDS deaths. He reported that in 100 consecutive cases, 70 percent of SIDS deaths occurred within three weeks of pertussis vaccination. Also check out Scientists Against GMOs, and How to Detoxify From Vaccinations. This article is an excerpt from a two part series. If you’d like to read more about doctors against vaccines (with videos), check out the first few sources.